Top selling brand of ketchup mix! Including ingredients such as beet powder, onion, paprika, and garlic. Use this mix with fresh tomatoes or tomato paste. Serve it, freeze it, or can it. 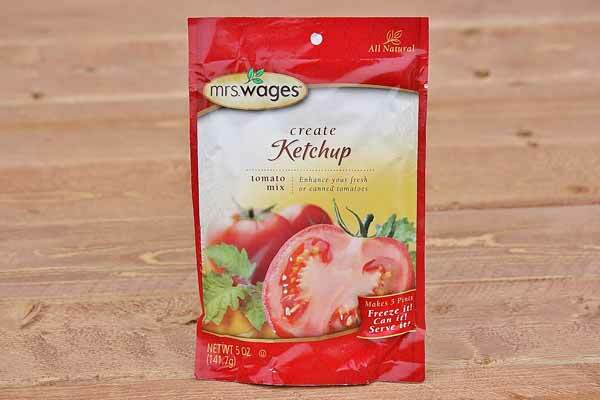 You'll never buy store-bought ketchup again after trying this mix! Makes 5 pints. Made in the USA. Ingredients: Salt, Food Starch, Evaporated Cane Sugar, Beet Powder, Onion, Natural Flavor, Xanthan Gum, Citric Acid, Paprika, Spice, Garlic.